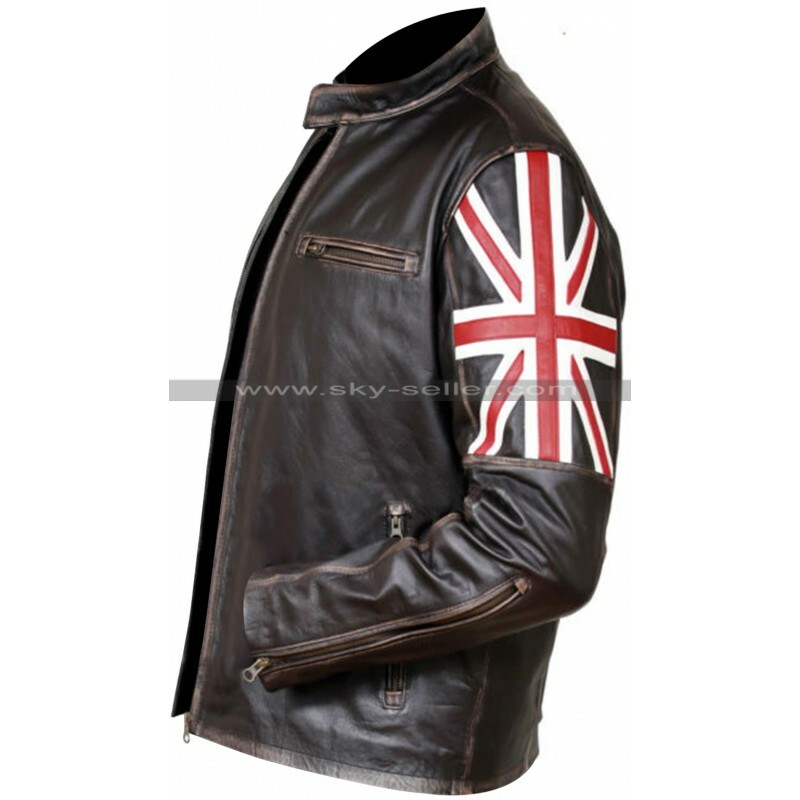 Are you very fond of Union Jack, the national flag of UK? 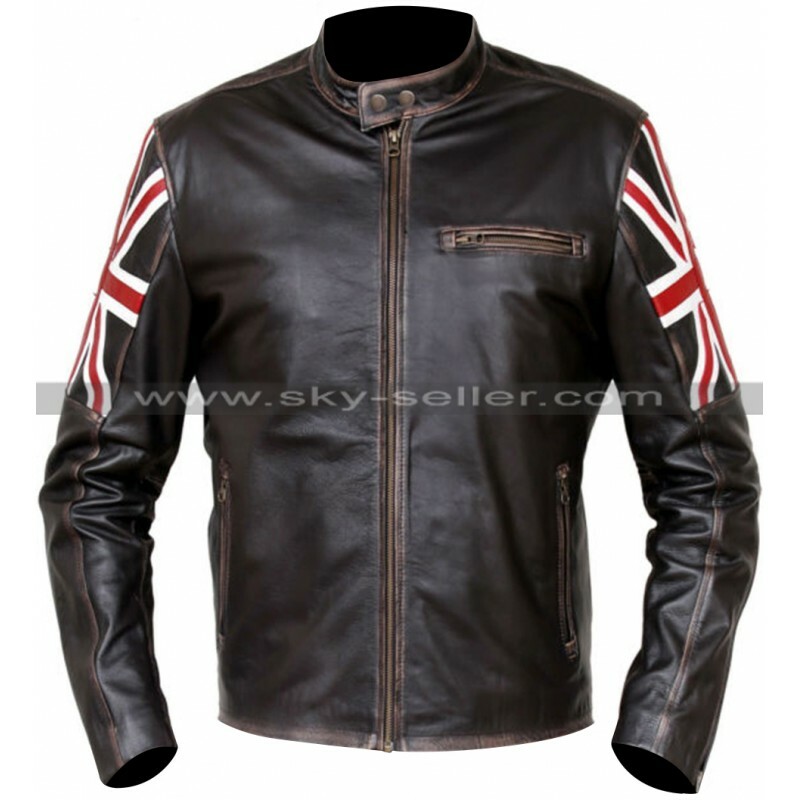 If yes, then you can use this opportunity to wear this flag on your sleeve literally with the help of this distressed brown café racer biker leather jacket. 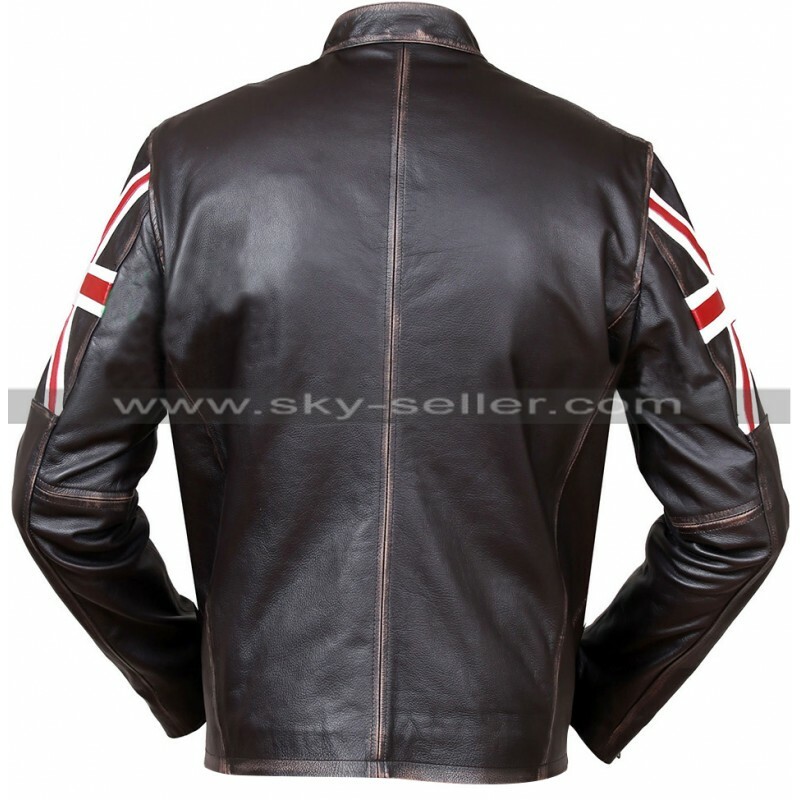 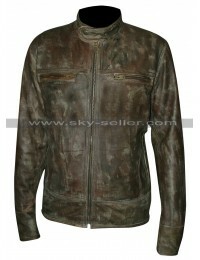 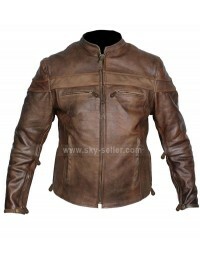 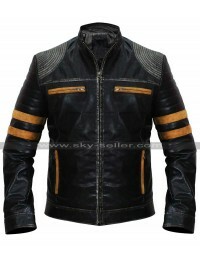 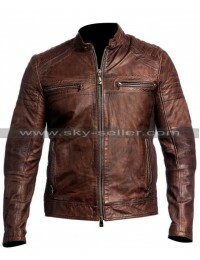 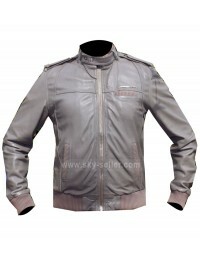 It is a very high quality leather jacket for men who do not make compromises with quality in their lives. You can easily express your love for UK and its national flag when you choose to wear this leather jacket while riding your motorcycle. 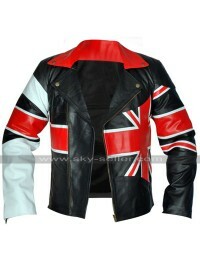 But this jacket is certainly much more than just the Union Jack as you will discover later on.